The residents and visitors to the Pasadena area of Southern California live extremely busy lives. Unfortunately, with the large number of people who live in the LA County region of SoCal, most auto owners never think of looking for a reputable auto glass repair facility until they have an unfortunate encounter with the airborne debris that can collect on our busy roadways during the dry season. If you find yourself in the position of having to seek out the best car glass repair facility in the area, then you should look no further than Mobile SGV Auto Glass to take care of your auto glass needs. Our company has been in business for 12 years and counting now, and our mobile service technicians are some of the best in the business. We believe in the quality of our mobile repair team’s work, and you will rarely encounter issues with our work after our team calls a job complete. In the unlikely event that you do, we have one of the best warranties in the business, and all you need to do is give our friendly staff a call to schedule a follow-on appointment to take care of your auto at no extra charge. 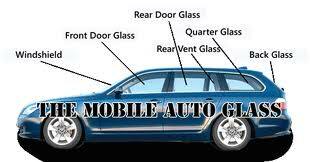 At Mobile SGV Auto Glass, we also believe in keeping our customers fully informed. We encourage first time (or subsequent) customers to call and ask our staff as many questions as you need to feel like you fully understand our various car glass services. We will never try to rush you into a decision on what to do with your auto glass, and our techs will always provide you solid advice on what the best and the cheapest options are to get your automobile back on the road in a safe and drivable condition. In the event that you have suffered damage to one of the windows on your vehicle that requires replacement, we also have mobile repair teams available to respond to your desired location in the greater Pasadena area on short notice. If you are unsure if your vehicle is safe to drive, just call us and describe the damage sustained to the auto glass on your car, truck, van, or SUV. We will be more than happy to give you our professional opinion along with a free estimate on what it will cost to do the work. You will quickly find that just about anything is possible when you make the smart decision to partner with our company. We look forward to serving you today.